Donavan Delgado is proud to say he just celebrated his 57th birthday because for him, age is just a number and he’s always embraced his free-spirited, young-at-heart nature. Delgado has lived in suburbia most of his life, but about five years ago, downtown became a popular destination for his friends. He began to take a particular interest in downtown’s rich history, culture and the unique melting pot of different cuisines. Earlier this year, he finally listened to his heart and visited The Ogden. 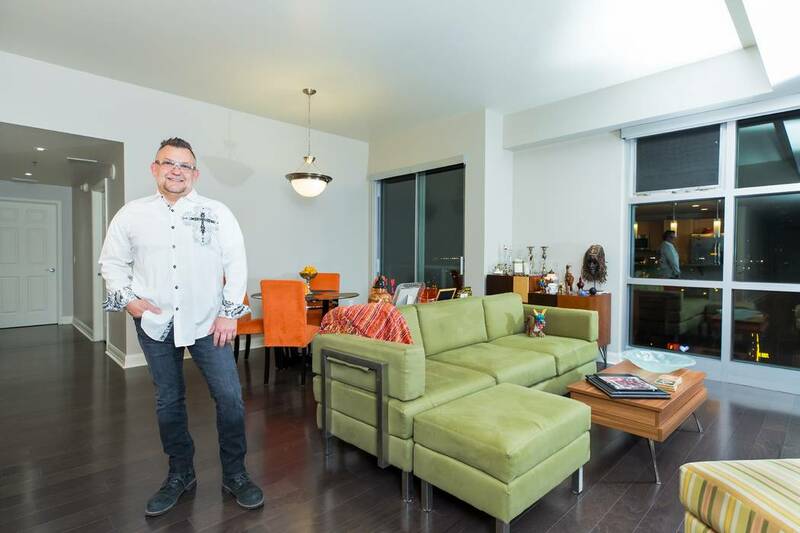 He was so surprised by how much it fit his personality, he decided to invest in his new home in the sky, a two-bedroom, two-bath Arnett floor plan. Delgado said he especially loves the walkability to the best that downtown has to offer and he has a long list of favorite hotspots. “The best sangria is at the bin 702 inside The Container Park. The Smashed Pig Gastropub dishes up these addictive deep-fried deviled eggs and for the best Old-Fashioned cocktail, go to Park on Fremont. Eureka! restaurant’s French dip and fried chicken sliders are mouthwatering and for a sweet treat, there’s no other place better than The Donut Bar, of course,” Delgado said. 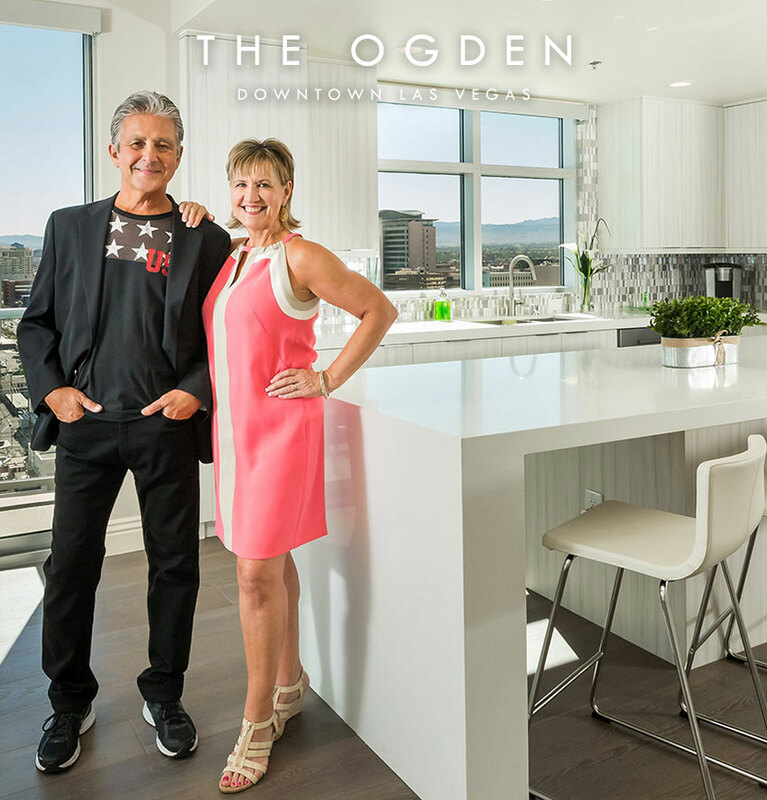 Delgado, who is the purchasing manager at Wynn Las Vegas, said his daily commute is a breeze, since his home and work address are on the famous Las Vegas Boulevard, which makes it a short and scenic drive. And, being the social animal he is, Delgado’s overjoyed with the resident activities and outings led by Evelyn Connors, the high-rise community’s lifestyle director. “I’ve added more than a dozen of my neighbors to my social networks, which is remarkable considering I didn’t meet most of my neighbors over the course of the 12 years I lived in my previous home. And I used to have this notion that folks who live in high-rises were pretentious and not very warm, but The Ogden has proven me wrong. I love the vibe, the energy and the sense of community at The Ogden. There’s no other place quite like it,” he said.